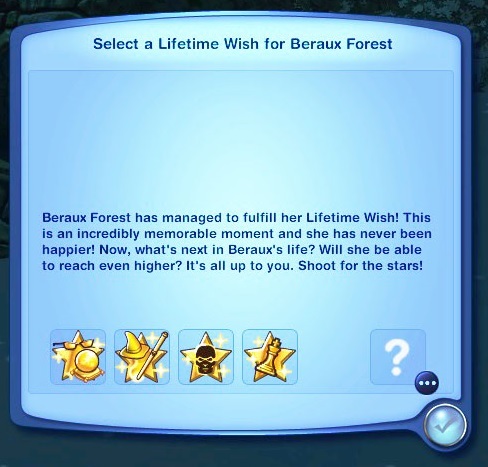 From here you can select any new Lifetime Wish you want for your Sim, and your brand new Lifetime Wish will be updated and resetted. It's that simple! You will also be able to buy the 10.000LP "Change Lifetime Wish" reward as many times as you want from the Lifetime Rewards, even after you've completed your Lifetime Wish. 2019.01.30: Updated so that you can no longer select an already completed wish. Added Rusian translation. 2019.01.31: Fixed a bug that could possibly make the game freeze. Added German translation. 2019.02.06: Updated so that you can cancel the New Lifetime Wish dialog. 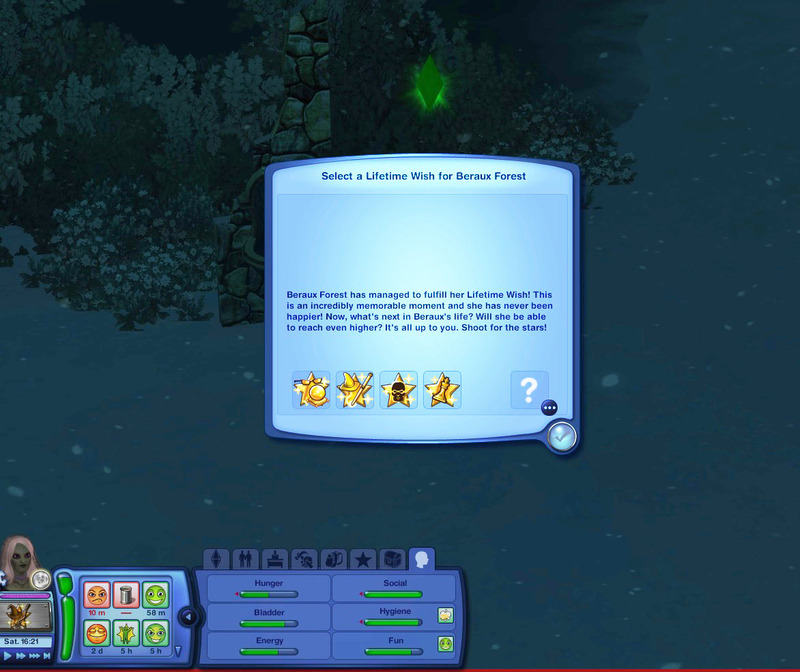 You may reopen the dialog by clicking on your Sim's completed Lifetime Wish. If you would like to help me localize this mod, download "NewLifetimeGoals - Strings For Localization.zip," unzip it, open the text file with Notepad (or other text editor), translate the text between the "STR" tags, and send me your translation. Read this if you want to know more about localized coding. Thanks to the S3PE creators and developers. NewLifetimeGoals - Strings For Localization.zip | Description: Use this if you want to localize the strings of the mod for your language.